The countdown is well and truly underway to the end of support for Windows Server 2003, with only a matter of weeks remaining until updates, security patches and online technical assistance stop. With up to 24 million instances of Windows Server 2003 running across 11.9 million physical servers worldwide, there is still much for the IT industry to do to ensure businesses safeguard themselves and prepare for the next generation of IT. During this time it’s important for businesses to remain calm and focus on the benefits of upgrading the Windows Server platform. Having seen some dramatic upgrades in IT over the last 12 years, change is imminent as organisations look to unlock the potential of BYOD initiatives and mobility strategies enabling employees to work from anywhere, at any time. Upgrading from Windows Server 2003 is central to achieving these goals, and one path to a smooth and accelerated migration is through virtualisation. Specifically, by creating virtual versions of employees’ desktops, servers, and business applications, IT managers can migrate to newer versions of Windows Server by making more efficient use of their existing IT resources. As the IT environment can be managed from a single point, upgrading software is simplified without compromising the overall user experience. Keeping in mind that a complete on-premise Windows Server migration generally takes 200 days, businesses yet to move need to understand how virtualisation technology can facilitate a faster upgrade. Traditionally speaking, the complexity, costliness and time-consuming nature of moving business applications to a new server is the most difficult aspect of any upgrade as organisations work to define how their IT will run in the new environment. And with businesses increasingly hosting IT in the cloud, under-going a Windows Server upgrade in a virtual environment also allows organisations to extend the infrastructure into services being run online. The result? This provides IT managers with a range of best options for each workload. In a bid to bring IT back to basics, by creating a virtual environment, IT becomes easy to manage, allows businesses to centralise services in data centres and consolidate the level of physical resources being used. Additionally, virtualising desktops and applications provides greater visibility into user sessions so that IT managers can efficiently manage the corporate network. As a result, upgrading Windows Server via virtualisation is simple, rapid, and efficient. 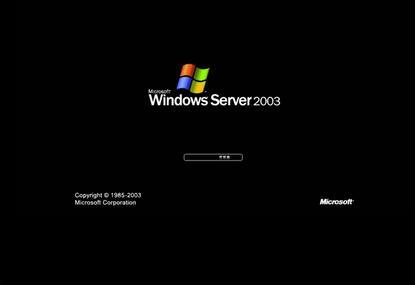 Parting ways with Windows Server 2003 will be a key milestone for business, but the hard work will be more than worth it today and into the future once complete. As we approach the end-of-support deadline, it’s now or never for many businesses to virtualise and get the most out of their new IT.